I was shocked to see that it’s been over 2 months since my last blog — the days have melted into weeks and here we are, snowflakes flying and craft fairs happening! 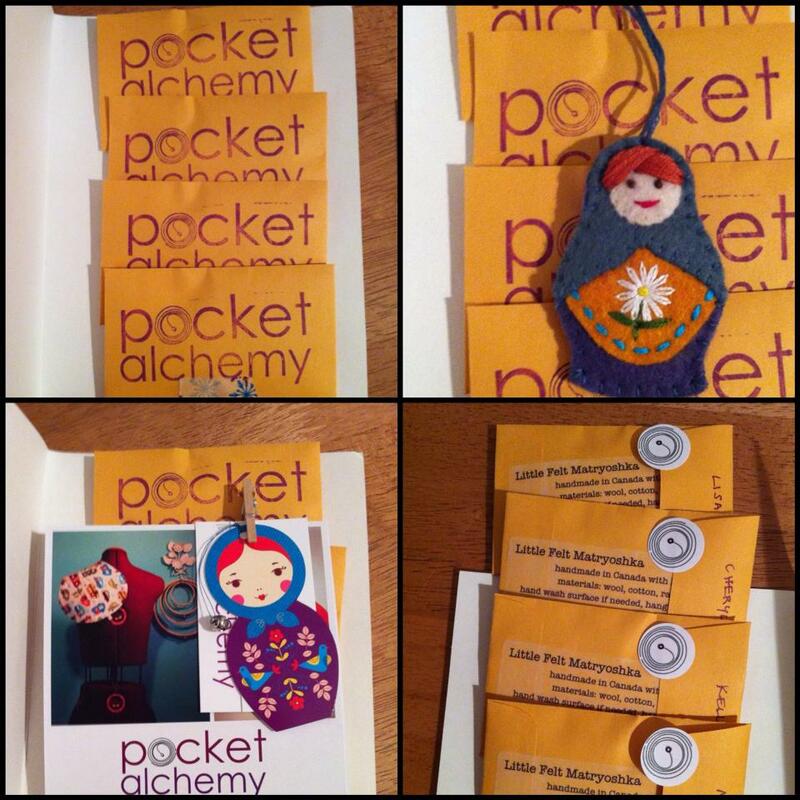 I’m going to be selling my work at the Christmas Made by Hand Craft Show in Hamilton on December 6th and 7th. It’s my first big fair, they expect about 3000 people over the 2 days! I am excited/nervous. And I have absolutely no idea how much product to make, not knowing the lay of the land at all. So I’ll either sell out (which would be amazing) or I’ll have product for my Etsy shop afterwards (which would be fine). Either way, I probably won’t want to sew another stitch for a long time by the time next week rolls around. 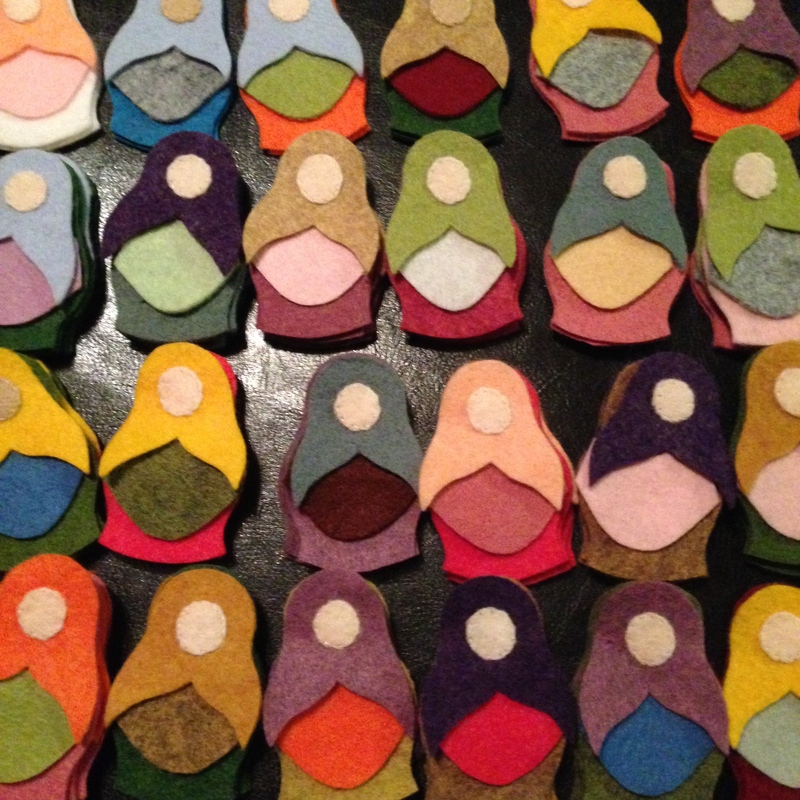 Faceless dollies (a bit creepy actually!) laid out for colour matching. 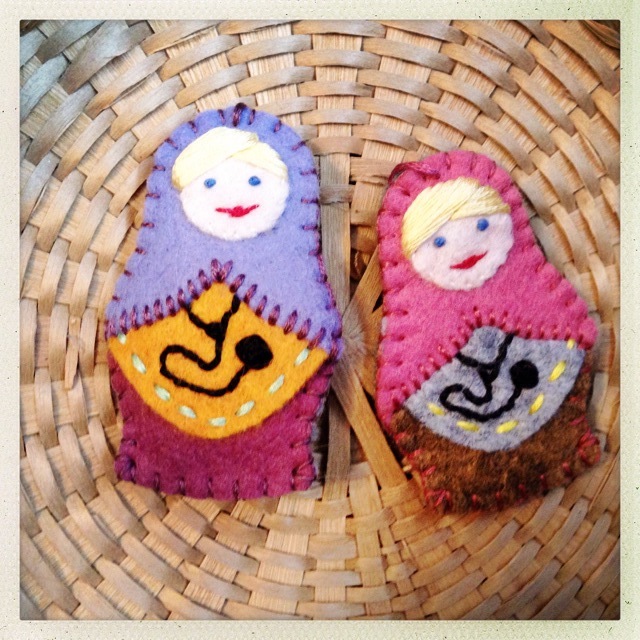 I’ll be carrying small and large matryoshka dolls, treasure maps, baby quilts, burp cloths, soother/toy straps, mitt clips and lavender sachets. Whew! I’m on the strange high most textile artists and makers will recognize: a heady mix of sleep deprivation, terror as the production schedule gets modified down to match the slipping days, and excitement at the possibility of sharing my work. 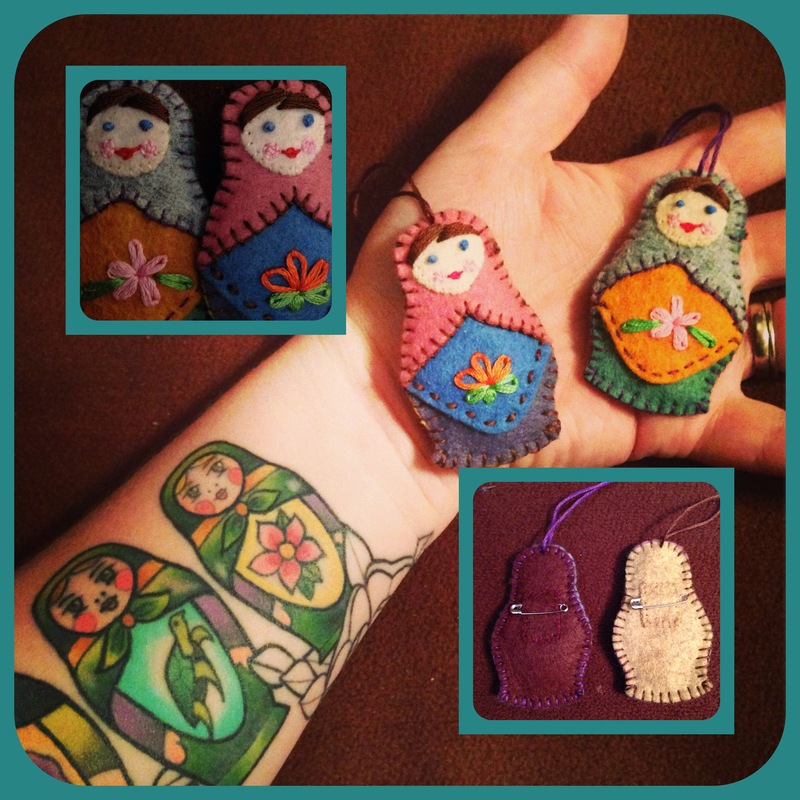 A lot of little matryoshka ladies! 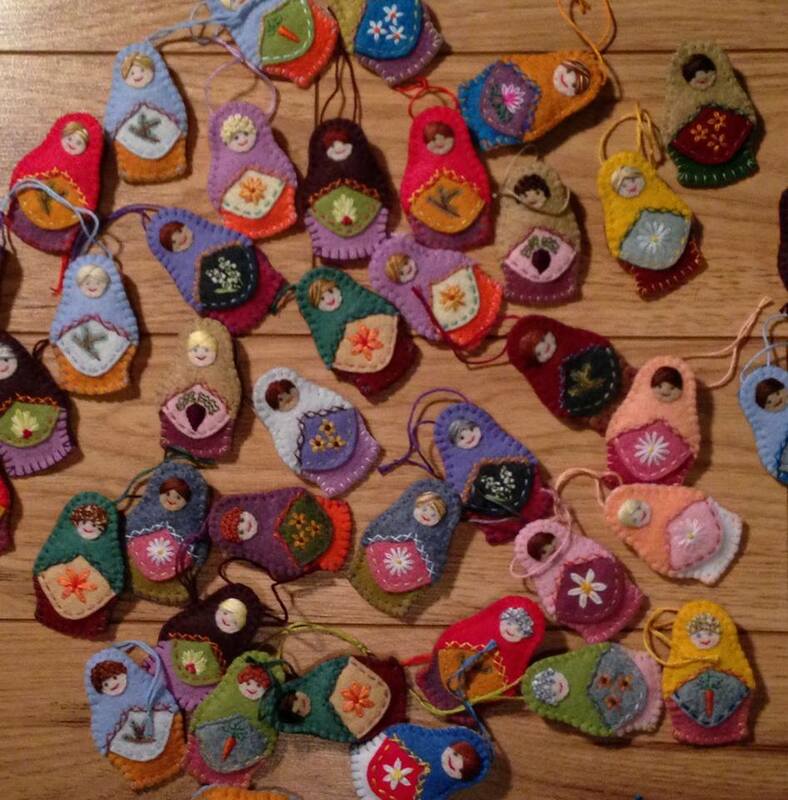 It was a year ago this month that I casually shared a photo of my latest project – these little dollies – on social media, and had an overwhelming response! 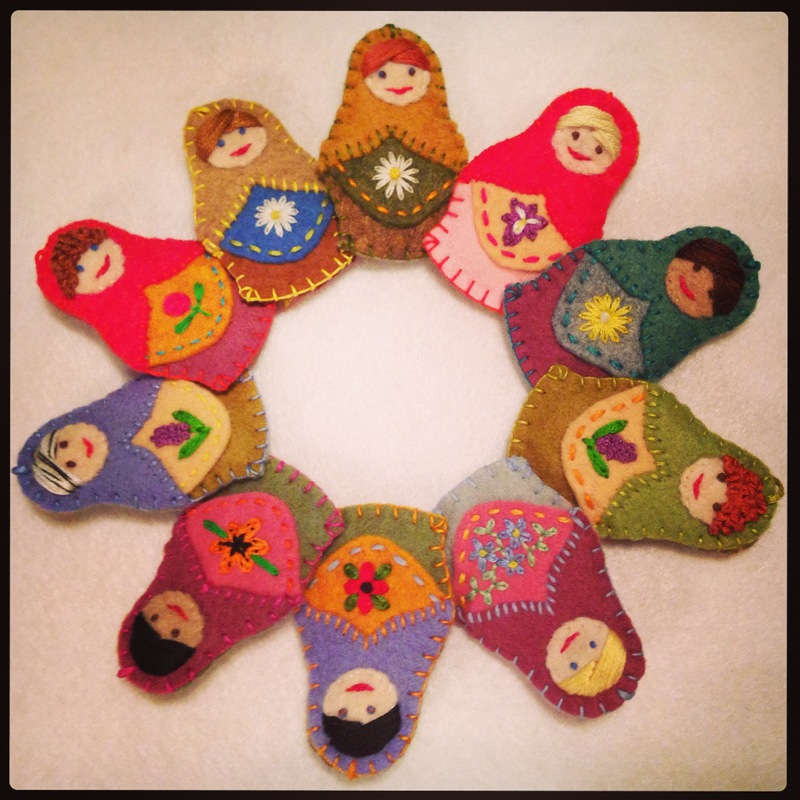 I sold about 60 custom dolls last holiday season. So I got ahead of the ball this year and made a bunch already! 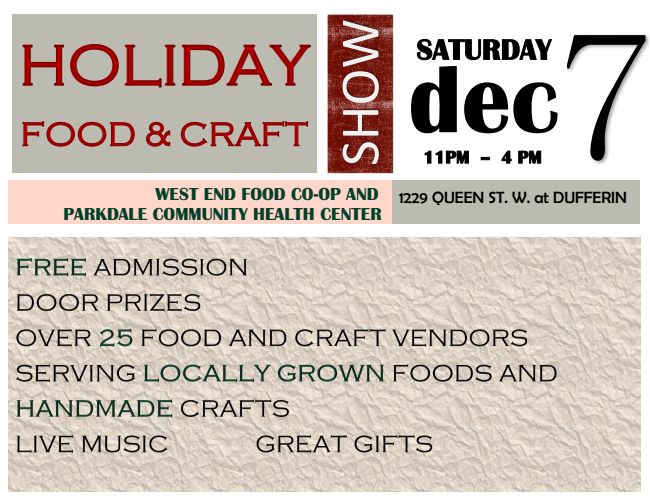 If you are in or near Hamilton, come to the Made by Hand Show on December 6th or 7th! I’m sure there will be many wonderful treasures. I’ll aim to share some of my new quilts and burp cloths before next weekend so you can see what I’m up to while the midnight oil burns … til then, cheers!